Teaching English to speakers of other languages (TESOL TEFL) can be a highly rewarding career, offering you the chance to live and work abroad. You will need an internationally recognised teaching qualification, and CELTA — highly regarded throughout the world — gives you the skills you need and will make it easier to get a teaching job anywhere. Being trained as a CELTA teacher will open up many doors and gain you a place in the TEFL TESOL world! CELTA means Certificate in English Language Teaching to Adults, and it is an initial qualification for people with little or no previous teaching experience and opens up a whole world of exciting teaching opportunities. Because it is awarded by Cambridge English Language Assessment, part of the world-famous University of Cambridge, you can rely on its quality and recognition. 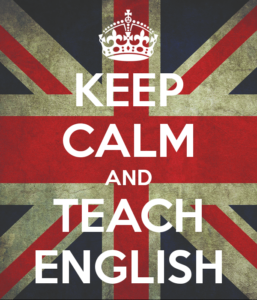 TEFL or TESOL are terms often used to describe qualifications for English Language teachers. CELTA, the most widely taken initial TESOL/TEFL qualification of its kind in the world, was previously known as CTEFLA and the ‘RSA certificate’. People who want to work in Further, Adult and Community Education in England. CELTA forms the first stage of the Cambridge English Language Assessment DTE(E)LLS and ADTE (E)LLS programmes. The DTE (E)LLS and ADTE (E)LLS qualifications meet the government’s teacher training requirements for people who want to work in this sector. Centers may still accept you if you do not have formal qualifications at this level but can demonstrate that you would be likely to complete the course successfully. Some centers may, at their discretion, accept applicants aged between 18 and 20. *To be awarded the certificate you must pass both components. There are three grades (Pass, Pass ‘B’ and Pass ‘A’). How do I apply to CELTA? CELTA courses are designed by individual centers, based on specifications produced by Cambridge English Language Assessment. They are available at over 286 approved centers in 54 countries, providing almost 900 CELTA courses every year. 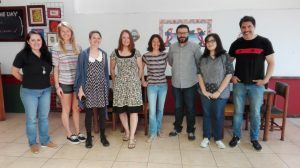 The CELTA course is offered in ILISA Costa Rica. Accommodation 2 weeks: Homestay including single room, breakfast, dinner and laundry. Accommodation: Homestay including single room, breakfast, dinner and laundry. Attendance of 100% of the course. Completion of all teaching practice and observations of experienced teachers. Completion of all four assignments (three or more assessed as ‘Pass’). Candidates who successfully complete the course, receive both the Cambridge CELTA certificate and a report/letter from the trainers . The letter describes the candidate’s performance in some detail and serves as a useful reference for employment.